Designed to accommodate oversized pads. 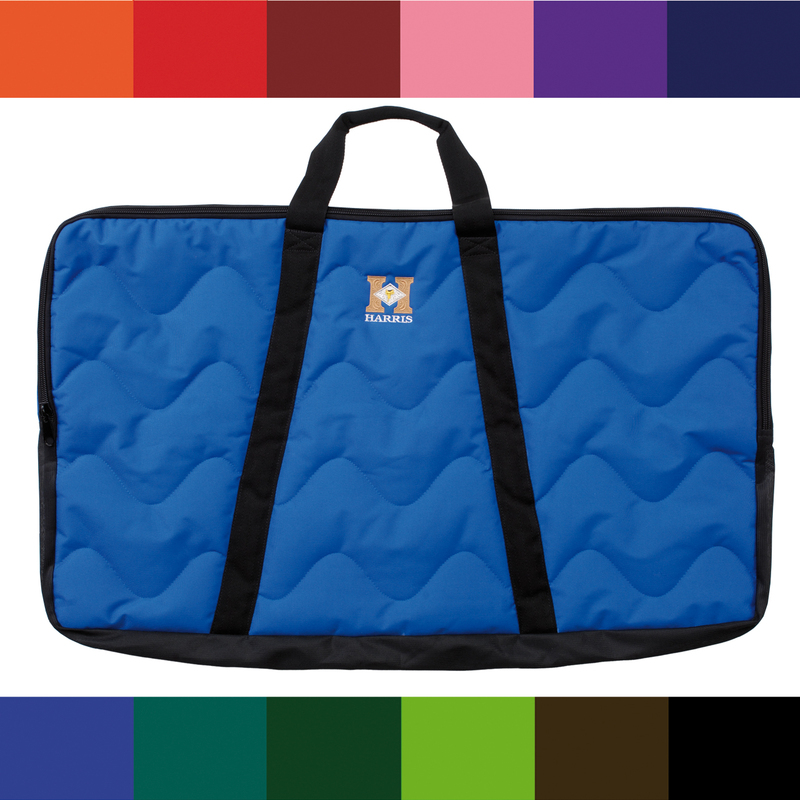 These cases measure 37″ x 24″, which means they can accommodate pads 36″ x 46″ and smaller. 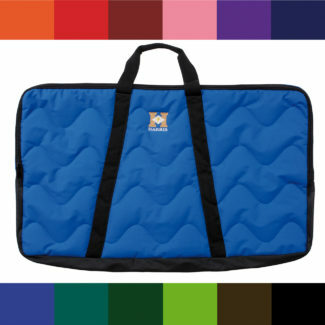 Heavy duty zipper top on each side and inner divider allows for multiple pads to be carried. 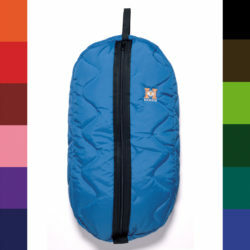 Unique mesh material allows for airflow on the bottom of the bag to prevent mold and odors. Pad bags stack well and are easy to carry with handles. Embroidered Harris logo.